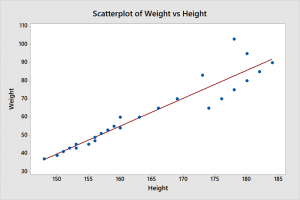 How to make Scatter Plot in Minitab? 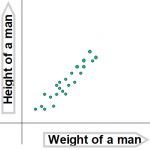 How BOX PLOTS help in relating two parameters? How to make Multiple Box Plots in Minitab? What is Main Effects Plot? How to make Main Effect Plot in Minitab? 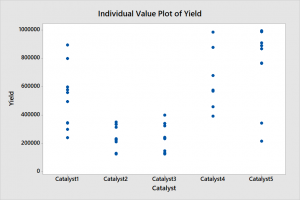 What is Individual Value Plot? How to make Individual Value Plot in Minitab? 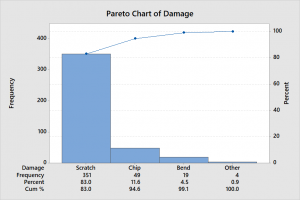 How to make Pareto Chart in Minitab? 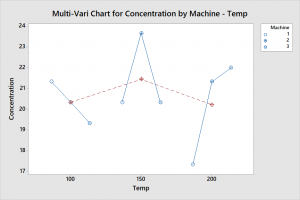 How to make Multi-vari Chart in Minitab? This is sequel of article named Graphical Analysis in Minitab -Part 1, (which you can read by clicking on the link). In last article we learnt analysis of single parameter. In this edition, we will learn how to use graphical analysis for analyzing relationship among multiple parameters. 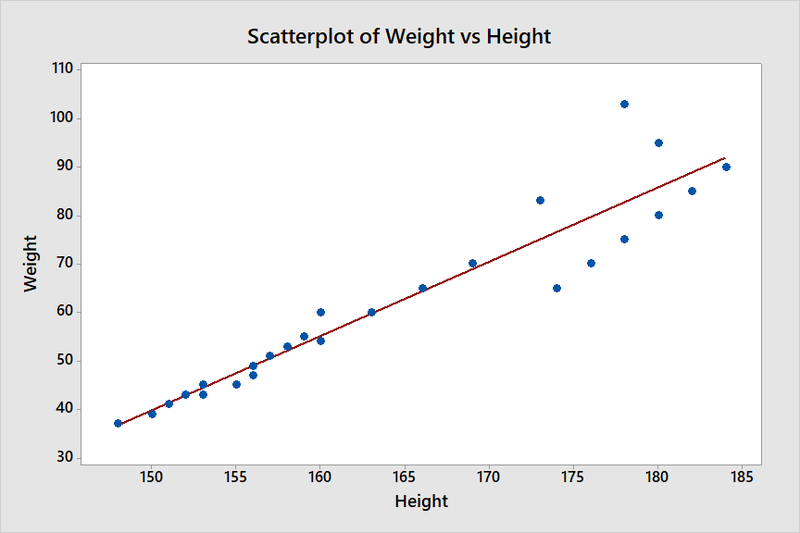 Minitab enables several graphs, which help in drawing inferences about relationship between two parameters. It seems - This word indicates all graphical tests are inferential. Further analysis is needed for conclusions. Relationship is non-directional - This indicates that we cannot clearly determine if height depends on weight or weight depends on height. For any inferences, basic knowledge of process is must. Strength of relationship is based on perception - How strong is the relationship depends on closeness of data points as well as slope of trend. Both are perceptional in the graph. 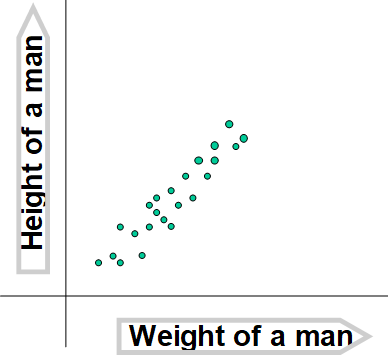 From the graph we can draw inference that it seems there is strong relationship at lower values of height and weight. On other hand, at higher values relationship seems to be weaker. 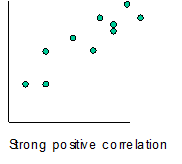 The box plot is a graph which is used for both one parameters and two parameter analysis. It displays relationship between a continuous variable and a discrete attribute. For example, if we desire to establish relationship between Yield from various Catalyst types, this is good method. 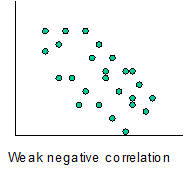 In this we compare location (Median) as well as spread (IQR) for drawing conclusions. Click on "Catalyst1 to Catalyst5" and select it. Click OK to see your Box Plot. The graph compares Yield (continuous parameter) with Catalyst Type (Discrete parameter). We can draw following inferences from the graph. 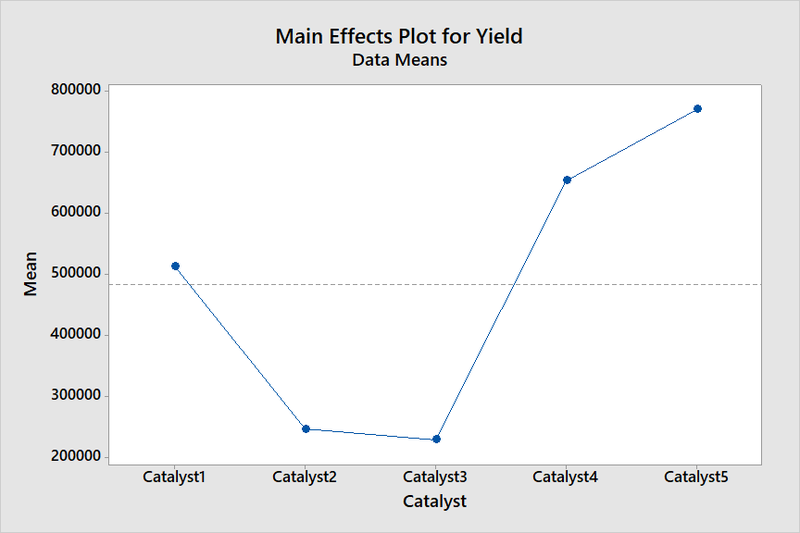 Catalyst-2 and Catalyst-3 seems to have lowest yield. 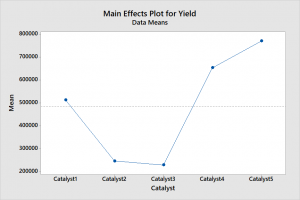 Catalyst-4 and Catalyst-5 seems to have highest yield. 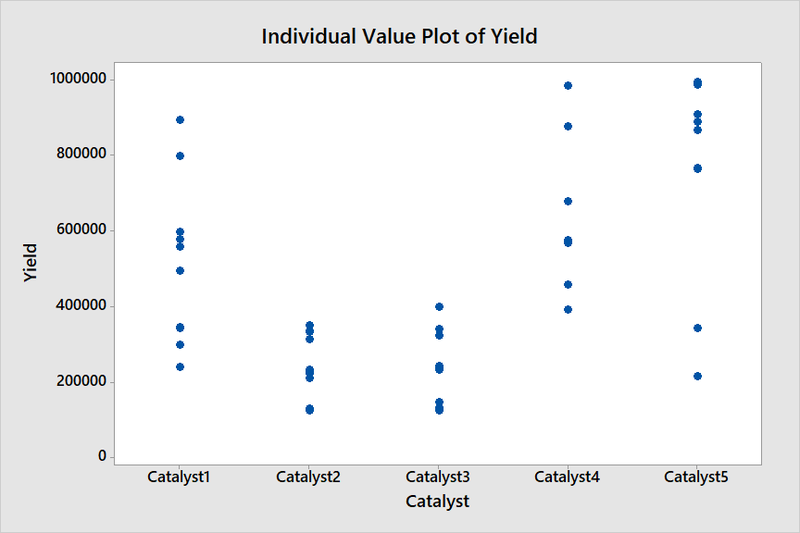 Variation (IQR) in Yield with Catalyst-2 seems to be lowest while high with Catalyst-1, Catalyst-4 and Catalyst-5. Main Effects Plot also relates a continuous parameter with a discrete parameter. 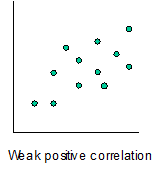 The Main Effect compares only location (Mean) of data (and NOT variation). Click OK to see your Main Effects Plot. Catalyst-5 seems to have highest yield. Individual Value Plot also relates a continuous parameter with a discrete parameter. 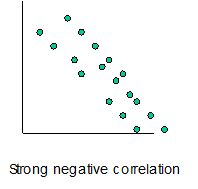 This Graph does comparison considering all data together without specifying any measure of location or spread. Catalyst-2 and Catalyst-3 seems to have minimum Yield. 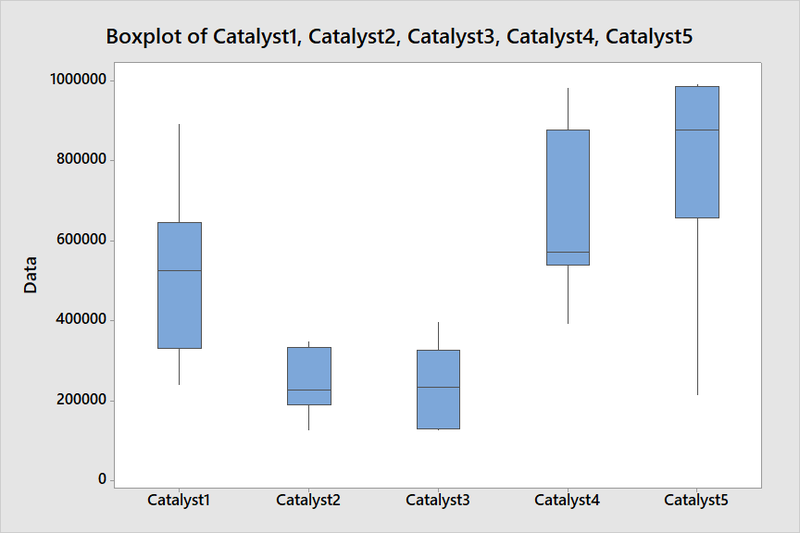 Catalyst 5 seems to have most of the values on higher side, while two abnormal values on lower side indicate need to look for special causes. Catalyst 1 and Catalyst-4 seems to have high variation without any abnormal value. Click OK to see your Pareto Chart. 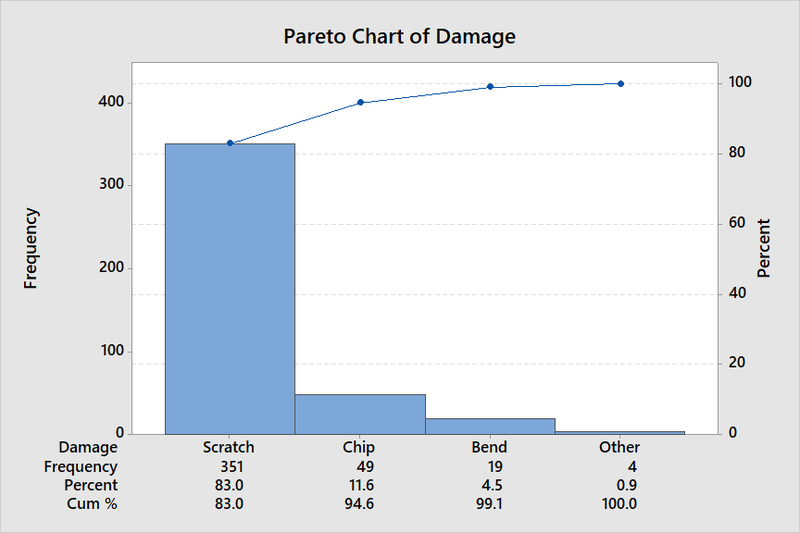 Pareto Chart indicates 83% of damages are due to scratch only and hence we need to focus on it. Minitab enables several graphs, enabling viewing relationships among various parameters. One of the most popular graph is Multi-vari chart. When we need to see effect of 2 or more parameters on one out put multi-vari charts are used. They can also be referred to as overlaid Main Effects Plots, which show main effect of second parameter on each value of parameter 1. 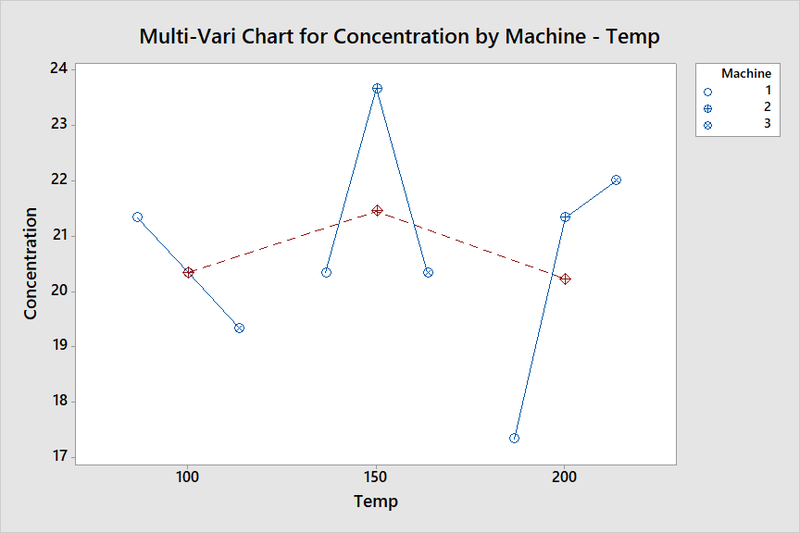 The graph compares Concentration (continuous parameter) with Machine (Discrete parameter) and Temperature (made discrete for this analysis, although continuous). We can draw following inferences from the graph. Concentration seem to increase at 150 degrees temp, while it is lower at 100 ad 200 degrees. Concentration seems to reduce as we move from machine 1 to 2 and 2 to 3 at 100 degree temperature. Concentration is high for machine 2 and lower for machine 1 & 3 at 150 degree temperature. Concentration seems to increase as we move from machine 1 to 2 and 2 to 3 at 200 degree temperature.